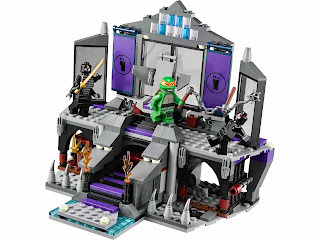 come with a shredder's lair. 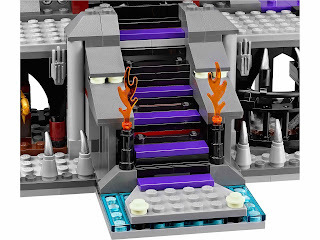 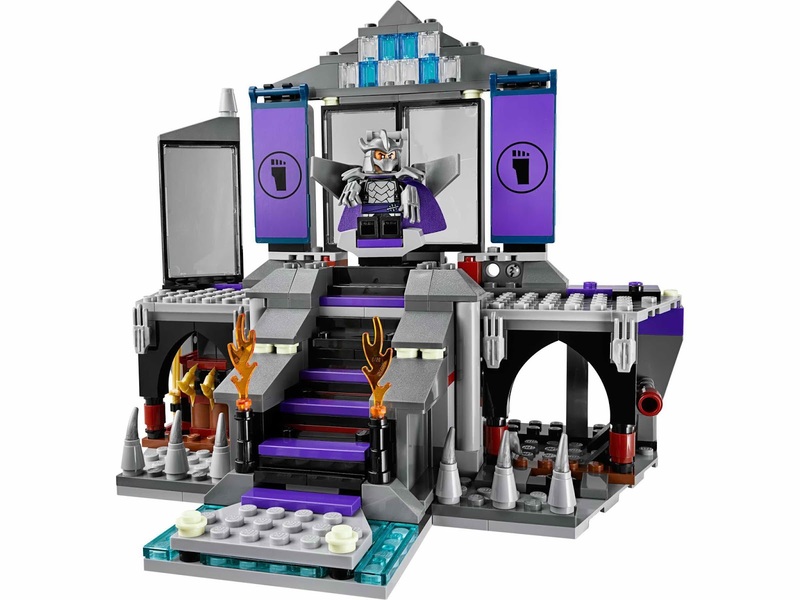 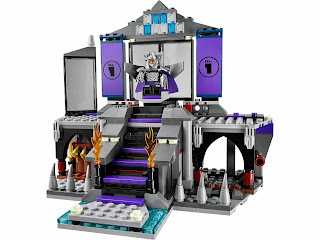 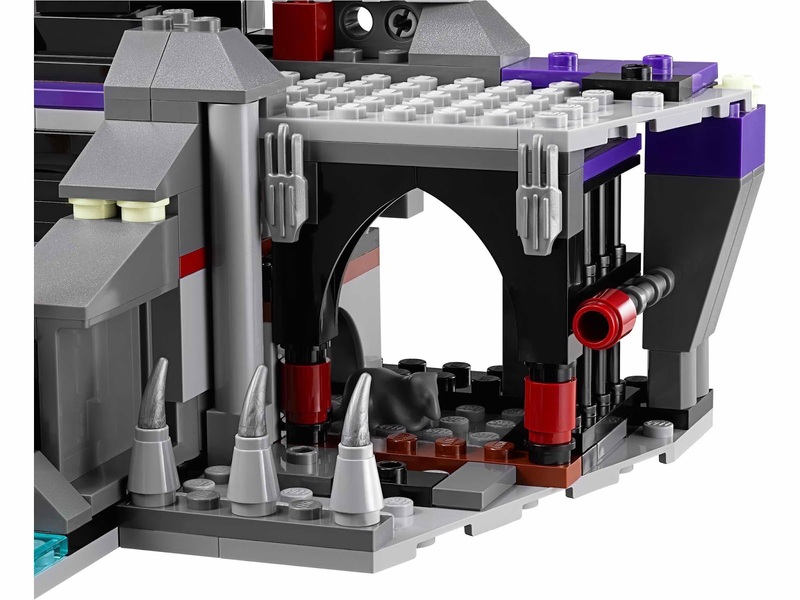 the lair has a shredder’s throne as escape pod, openable windows, collapsable stairs, a hidden saw blade shooter, breakaway windows, removable weapon racks,a dungeon, a breakaway door, fangs and transparent flame parts. 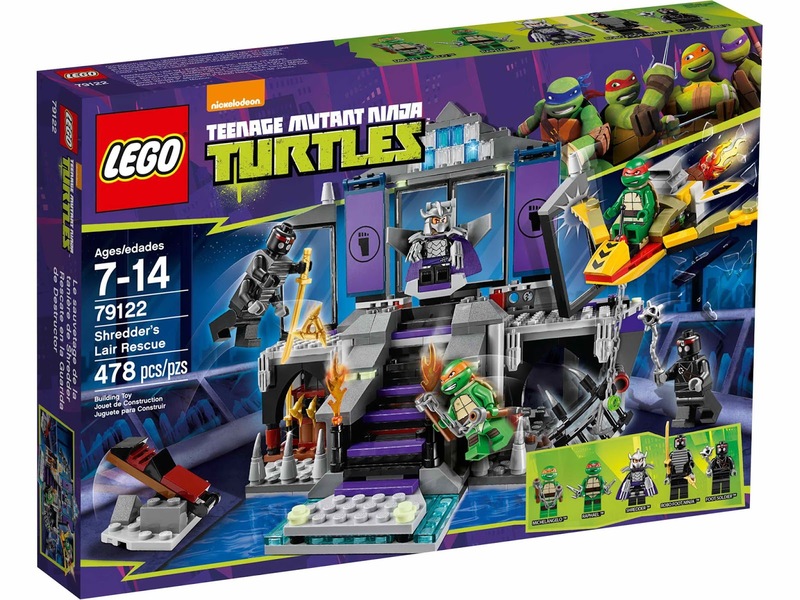 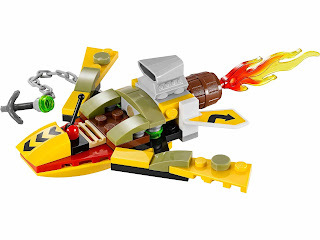 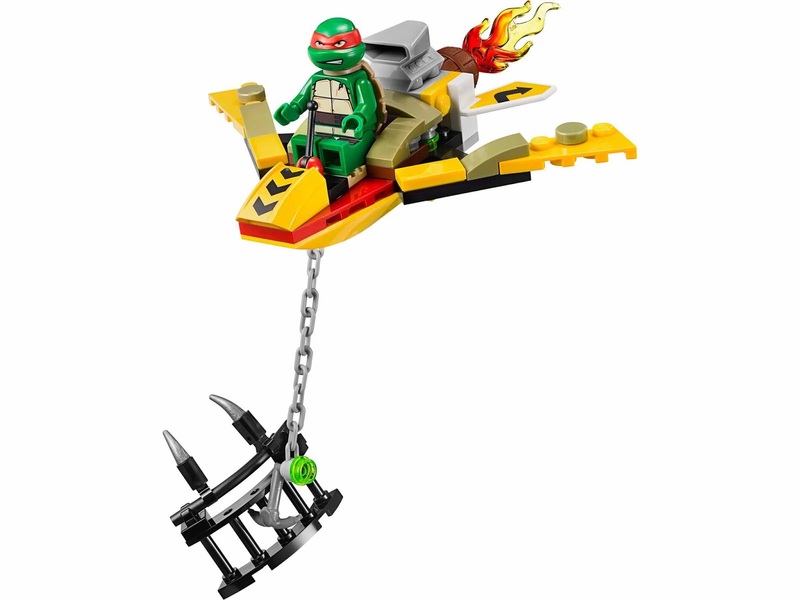 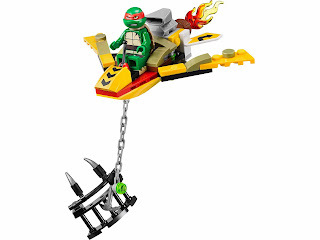 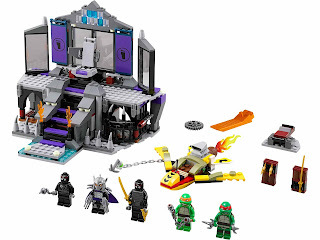 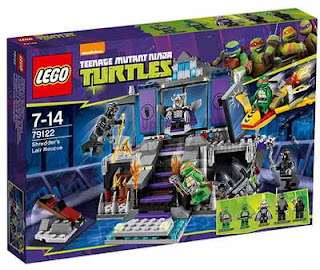 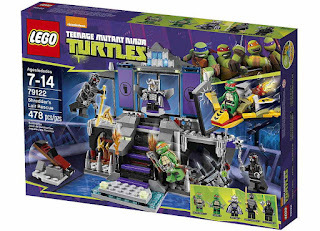 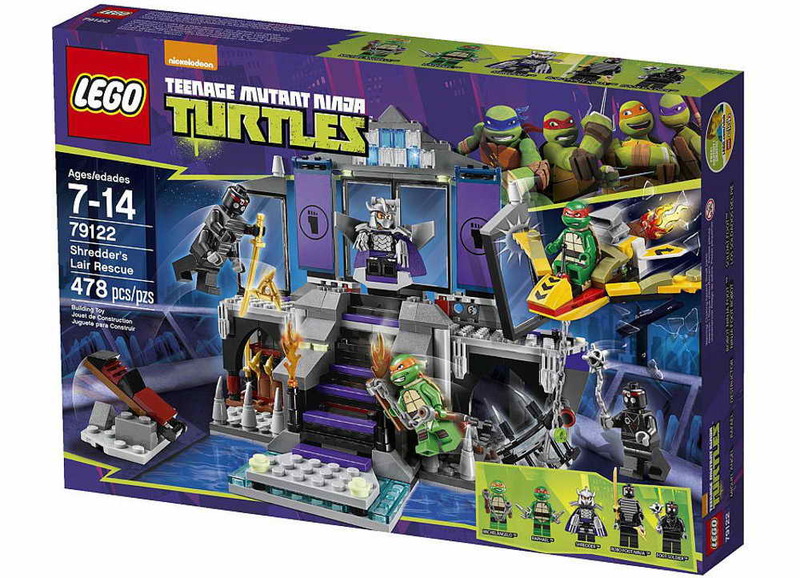 minifigs included a michelangelo minifig, a raphael minifig, a shredder minifig, a foot soldier minifig and a robo foot ninja minifig.